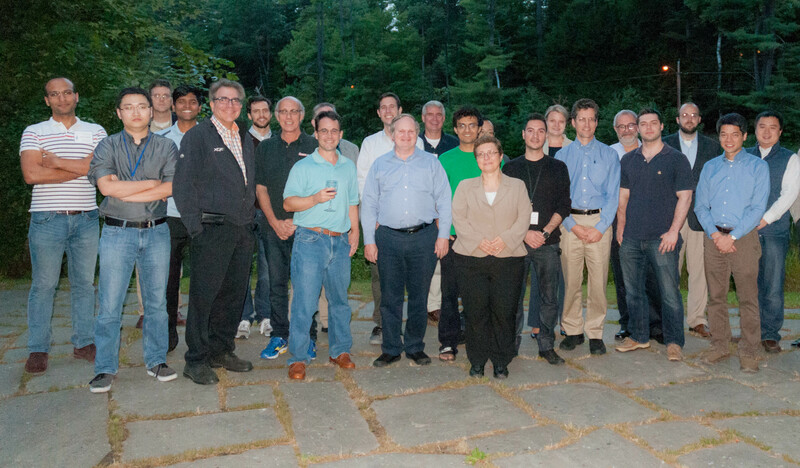 Our team held its annual in-person meeting, this year on the edge of the Green on the beautiful campus of Dartmouth College. Two days of enriching technical talks about work in progress, brainstorming sessions about upcoming programs, and valued feedback from our NSF program officers… plus opportunities for our five-university group to build connections and collaborative bonds. A few hardy souls hiked to the top of nearby Mount Cardigan the morning after the meeting, in a stiff breeze that reminded us all Fall is approaching. 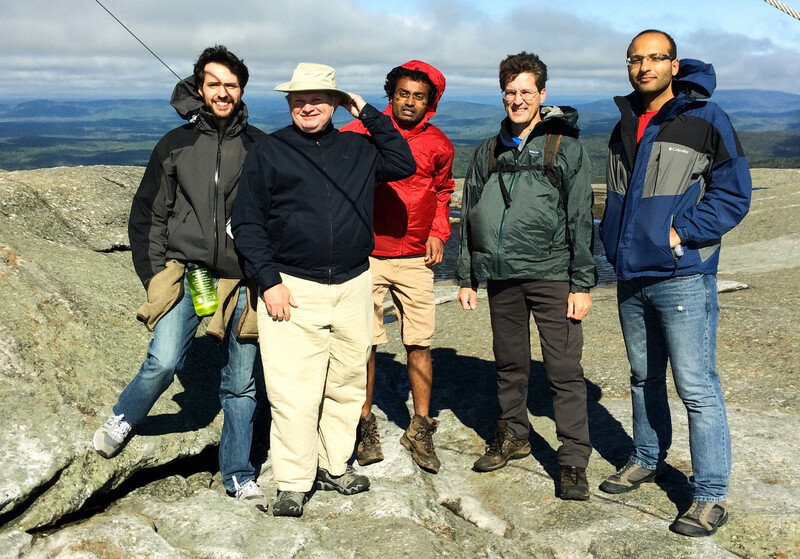 THaW hikers atop Mount Cardigan on a blustery NH day (AJ, Carl, Shrirang, David, Faraz).